There are those who are happy with their place in the world and how they are in it, and there are others who yearn for more. 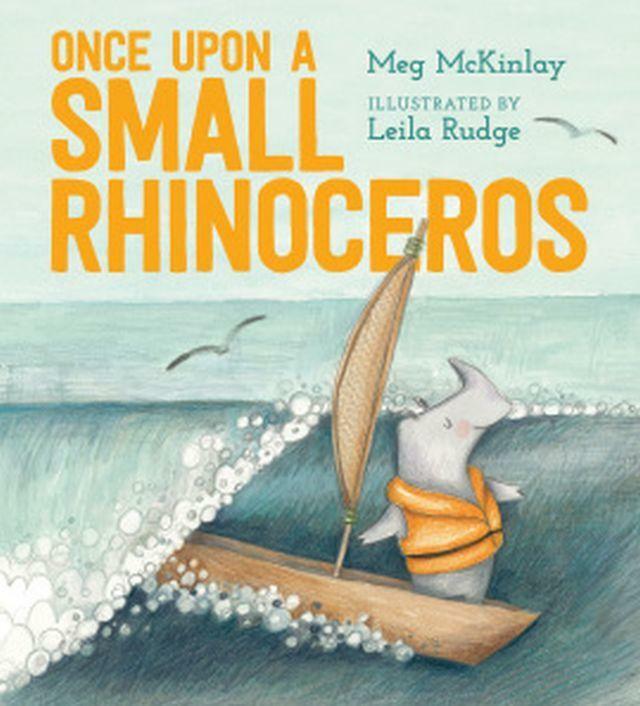 Small rhinoceros pines for the beyond – unlike her fellow rhinos. Watching boats up and down the river, she decides to build one and sets sail, farewelled by her perplexed family. She sees spectacular sights and meets interesting people and creatures, finally returning with many tales for her kinfolk, who are interested but uninspired by such travels; their close-knit community is enough for their needs and desires. Then a small voice pipes up, there is another kindred spirit, a fellow traveller. I loved this gentle book and that every viewpoint is treated respectfully. The soft, sweet pictures are unfussy and loving and are perfect for ages 2+. Alexa Dretzke is the assistant manager and children’s book buyer at Readings Hawthorn.